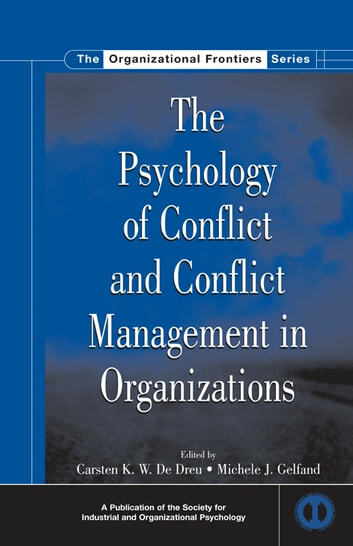 This volume in SIOP's Organizational Frontiers Series is a state-of-the-art overview of contemporary conflict research which aims to place conflict research and theory squarely within the realm of industrial and organizational psychology. This volume brings together and integrates classic and contemporary insight in conflict origins, conflict processes, and conflict consequences. 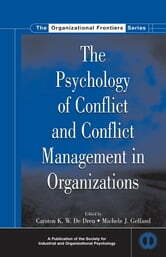 In addition, it stimulates modeling conflict at work at relevant levels of analyses: the interpersonal and group, and the organizational. It is appropriate for scholars and practitioners in the areas of industrial-organizational psychology, human resource management, organizational behavior, applied psychology, and social psychology.